YA Bound Book Tours: Book Blitz Sign Up: Almana by Julayn Adams! Book Blitz Sign Up: Almana by Julayn Adams! In the aftermath of World War III, the world has become a dangerous place. The ruthless dictator, Equis, and his army, Armageddon, are quickly taking over major metropolitan areas on the west coast. The end of humanity is eminent. Their one hope lies in the hands of a 17 year old girl, Alexa. When Almana volunteers to leave Heaven to guide Alexa, she never thought that her own destiny would include falling in love with a human. Now, cursed to remain on Earth forever, Almana finds that her task is much more than she bargained for. It is my name. It is my curse. With a diverse background ranging from preschool teacher and professional princess to diagnostic sonographer, Julayn Adams has discovered a new passion and talent for writing. Originally from Massachusetts, she now resides in Australia with her husband and four children, three of whom she home-schools. 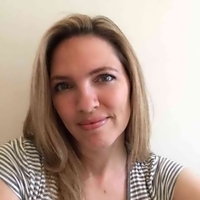 With her first work, a children's book illustrated by her youngest son, already released, she is excited to introduce her Young Adult novel, Almana, in January of 2016. Julayn is currently working on the second of this three part series, Vision (Almana #2). Book Blitz Sign Up: Adorkable by Cookie O'Gorman! Book Blitz Sign Up: Legends by Destiny Blake! Book Blitz Sign Up: Immurement by Norma Hinkens! Book Blitz Sign Up: Chasing Eva by Camellia Hart! 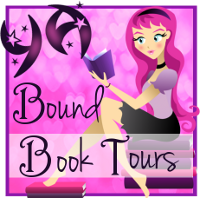 Blog Tour Kick-Off: Bound by Donnielle Tyner! Blog Tour Kick-Off: Jessie Kasper by Bradon Nave! Blog Tour Kick-Off: Immurement by Norma Hinkens! Blog Tour Kick-Off: Adorkable by Cookie O'Gorman! 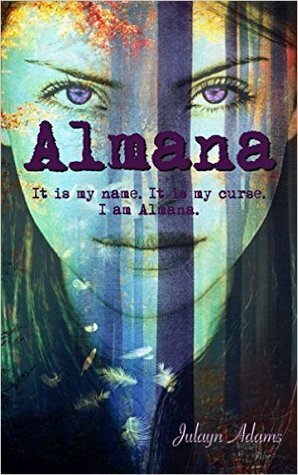 Review Copies Available: Almana by Julayn Adams! Book Blitz Sign Up: Stricken by A.K. Morgen! Blog Tour Kick-Off: Prescient by Derek Murphy! Blog Tour Kick-Off: Winter Queen by Amber Argyle! Cover Reveal: The Sound of Us by Julie Hammerle! Book Blitz Sign Up: Artificial by Jadah McCoy! Book Blitz Sign Up: Alone by Kate L. Mary! Book Blitz Sign Up: Night Shift by B.R. Myers!